This event will feature a stunning array of unique items from Palestine – plus Arabic food. The best part is 100% of every purchase aids Palestinian children & their families. 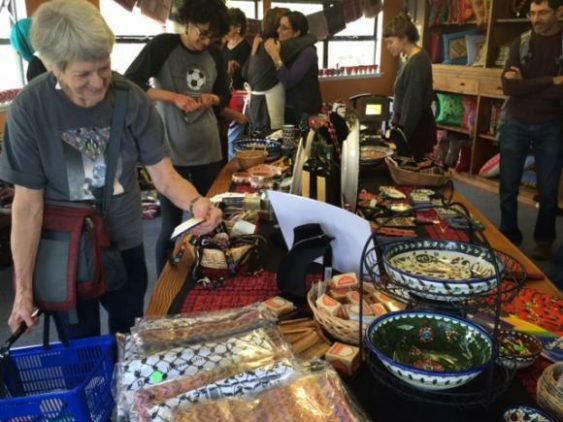 A stunning array of items from Palestine: Award-winning fair trade Olive Oil, Ceramics, Embroidery, Shawls & Scarves, Olive Wood Products, Keffiyehs, Olive Oil Soap & Palestinian Dead Sea Products, Children’s Clothing & Toys, Kitchenware & Cookbooks, Jewelry, Hand-woven Rugs, Books. Plus, delicious Arabic food. Bring your friends & family.